My non vegetarian friends called raw or Kacha Kathal( fanas / jackfruit) as vegan meat .Jackfruit gravy can be made in lots of way . My mom always made kachya fanas chi bhaji in coconut gravy. 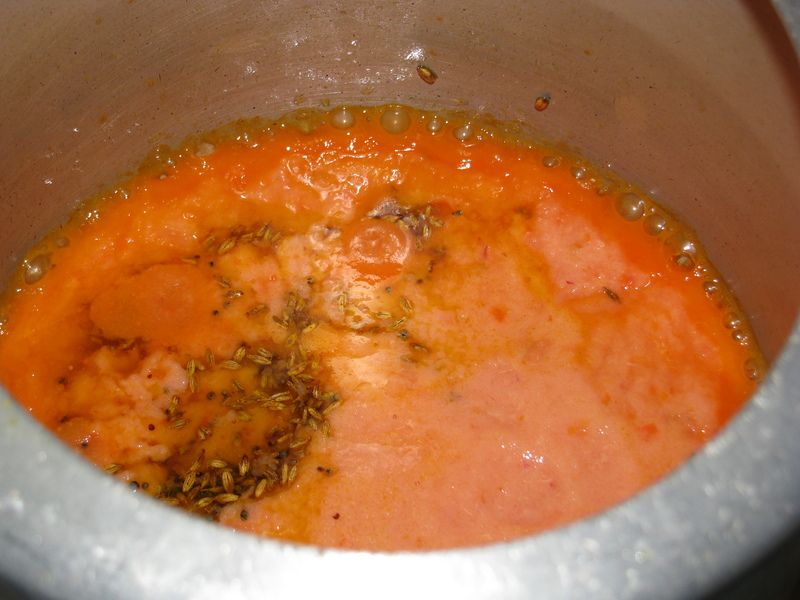 It was a typical Konkani recipe. 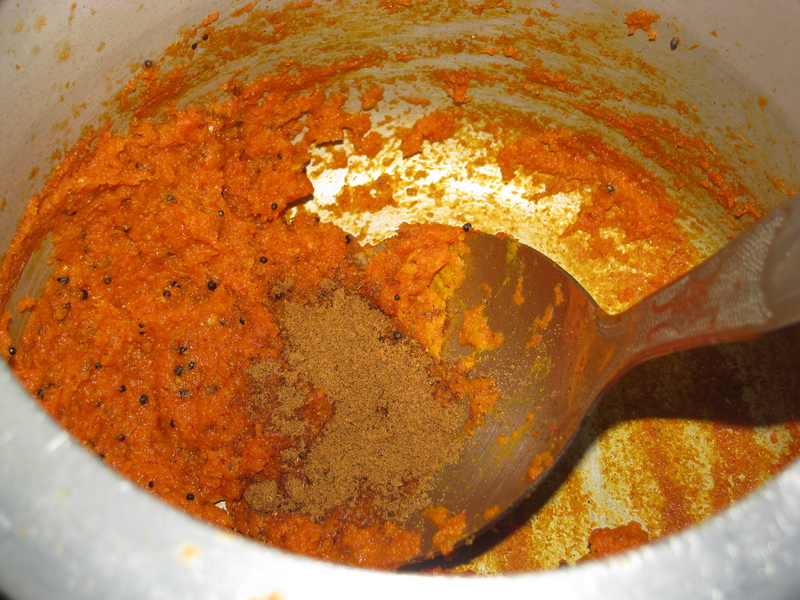 My Bengali friends made jackfruit gravy with khas – khas (poppy seeds). 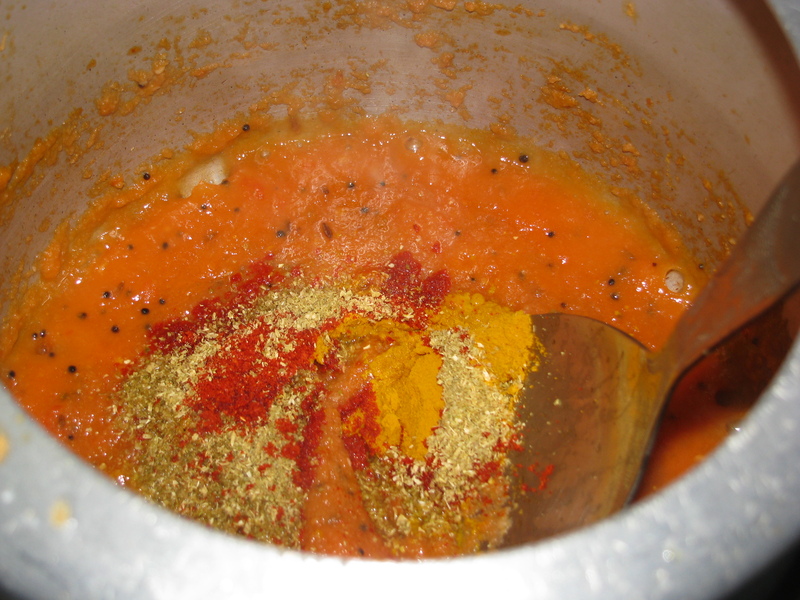 In north india Kathal is made with besan or Kathal ki Subji with pyaj tamatar ki gravy . 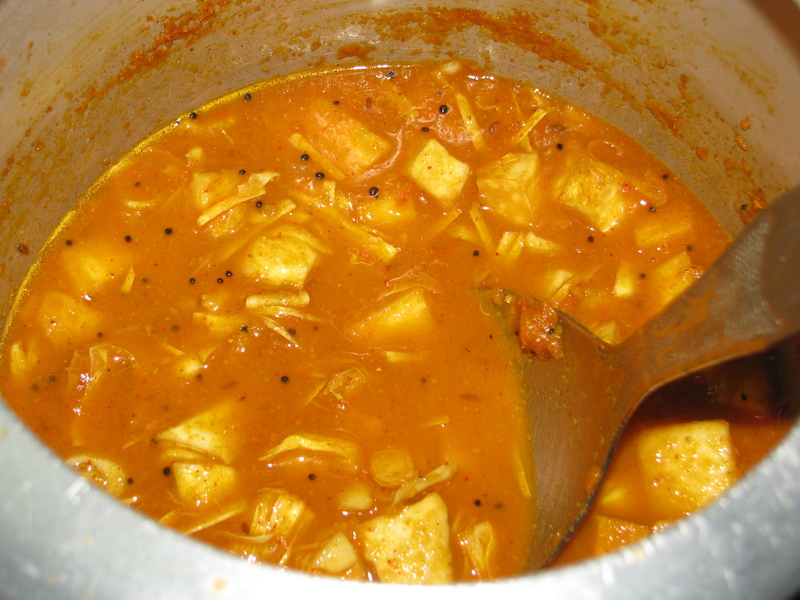 Kathal ki Sabji with onion tomato gravy has chatpata taste. My kids love this Sabji with roti as well as rice. 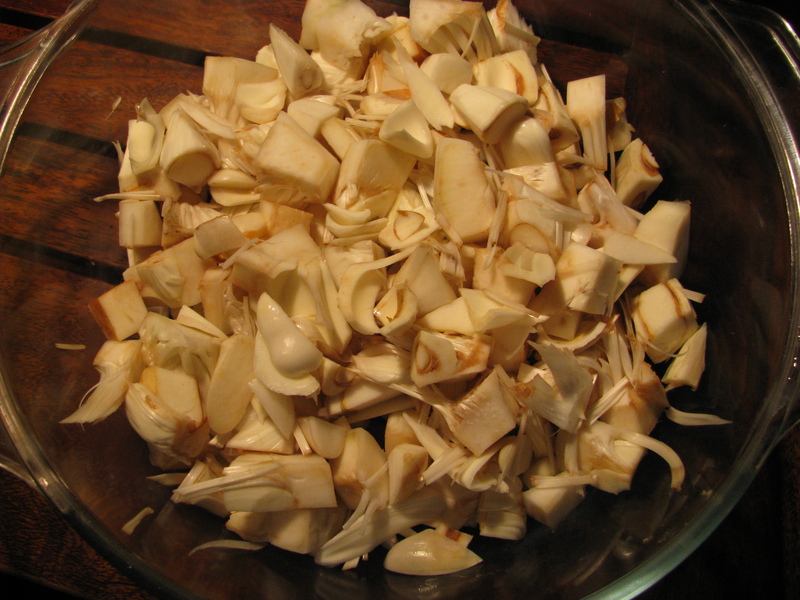 Before adding raw jackfruit in gravy we have to cook it by either boiling or frying. Fried Kathal tastes too good in tomato onion gravy but you can get the same taste of fried Kathal by using microwave with just 1 -2 teaspoon oil. Personally I like fried or microwave cooked Kathal in Kathal gravy. You can use whole Kathal just need to remove the outer covering, my vegetables vendor properly cuts jackfruit pieces and give it to me. He uses lemon juice and plastic bag while cutting the jackfruit. When you’re cutting jackfruit at home use glows or apply little oil on hands and lemon juice to your knife. Or you can use plastic bags in place of glows. 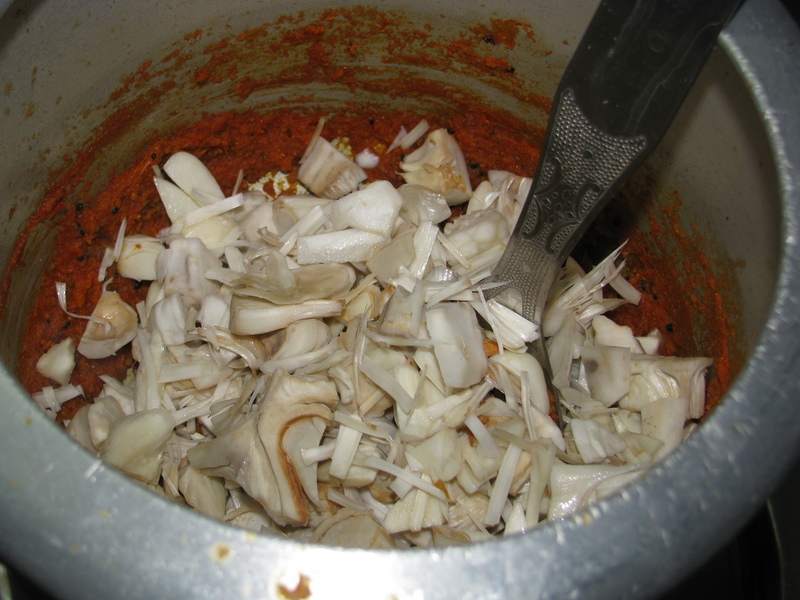 I use all the inner parts of jack fruit to make this Sabji. You can remove the inner stem if you don’t like it. 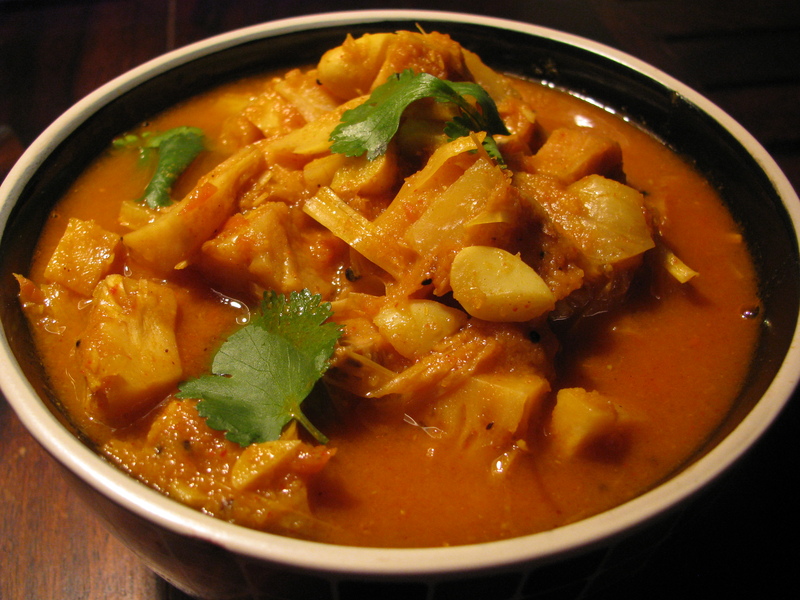 Take raw white jackfruit to make this Kathal ki Sabji . I have explain step by step recipe to make Kathal ki Sabji (fanas chi bhaji / jackfruit gravy) by using microwave. If you don’t want to use microwave you can either boil the Kathal or fry it before adding it in gravy. Share your suggestion and queries about this recipe. 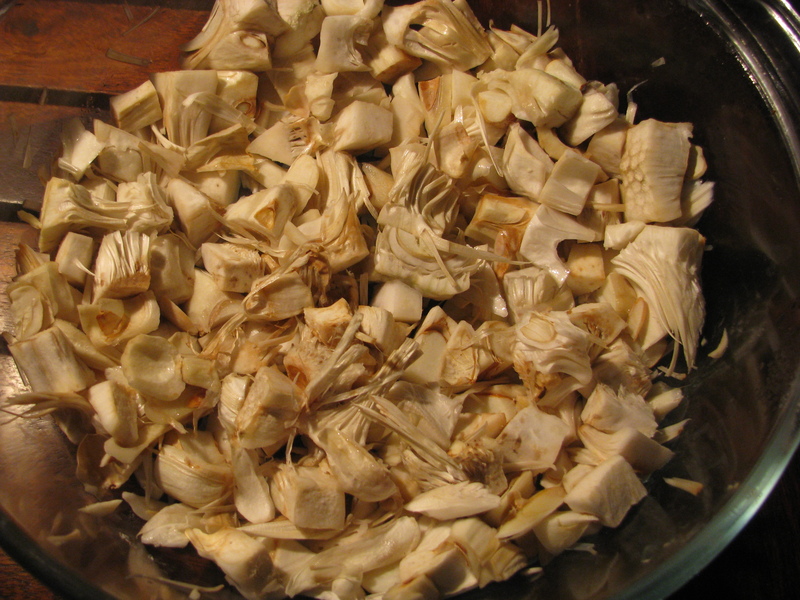 Wash jackfruit pieces. If you’re using microwave, take it in microwave safe glass bowl sprinkle little salt and add 1 – 2 teaspoon oil mix it and microwave without lid for 7-8 minutes. If you’re not using microwave fry jackfruit pieces in oil and keep it aside or boil it with one teaspoon of salt in water until it’s cooked partially. 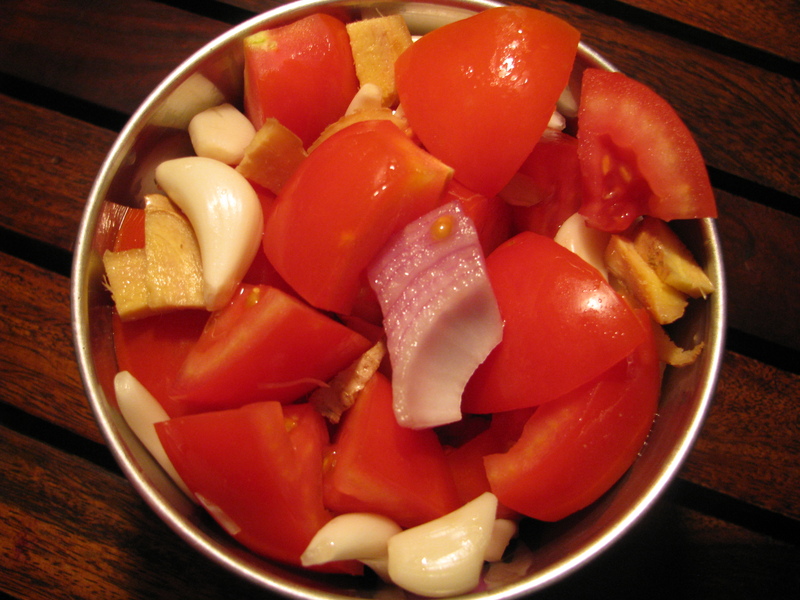 Take onion, tomatoes, ginger & garlic in mixer jar and make a fine paste of it . Heat oil in pressure pan or cooker and add mustard seeds , cumin seeds to it . when it starts carckling add onion tomato paste to it. Sauté it for 3-4 minutes, and add red chilli powder, turmeric powder, coriander powder to it and sauté it again until the masala becomes dry and oil stats coming out of it. Now add garam masala and mix it. 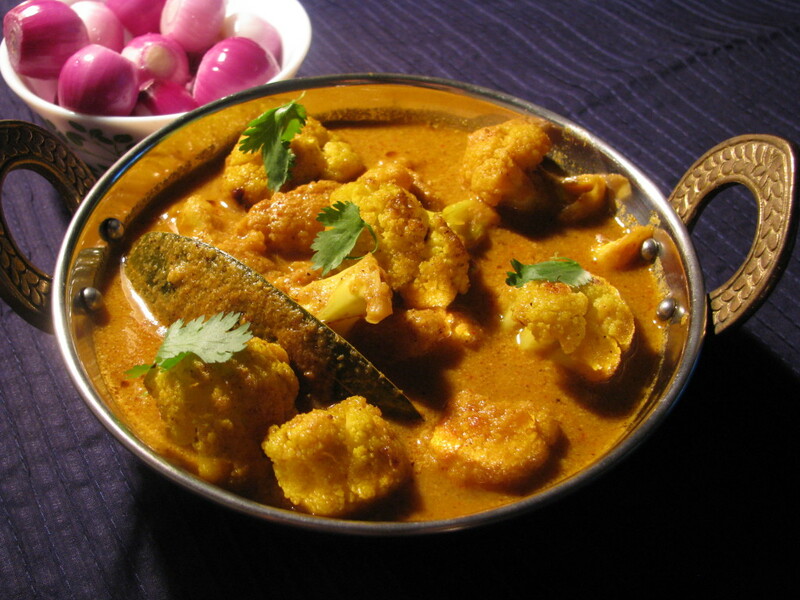 Add partially cooked Kathal ( fried /boiled / microwave cooked) in gravy masala . Mix it and add 2 cups of water to it (you can add water according to the thickness of gravy you want ). Add salt and let it boil now cover it and let it cook in pressure cooker for 8- 10 minutes. Serve hot with chapattis, rice or fulkis .